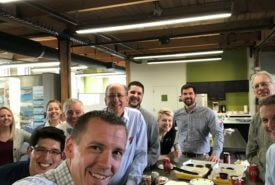 We would like to welcome our newest team member, Phil Lyzenga! As a Project Designer, Phil, is passionate about the relationship between people and the built environment. 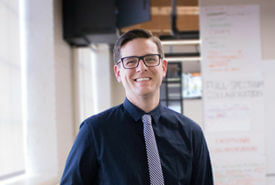 He believes thoughtful and intentional design has a positive impact for not only the end user, but also for the surrounding community. Last Friday, we held our annual company retreat at South Christian High School and it took us back to our days in school!! 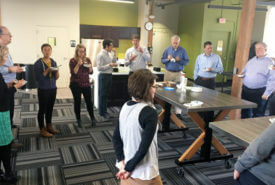 Aside from spending time in the new building and with students, we were thankful for the opportunity to stop, reflect, and engage in meaningful conversations. 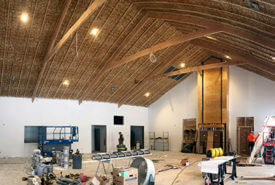 Construction is coming along nicely at Bay Pointe Woods Event Center! Flip through to see what it will look like! 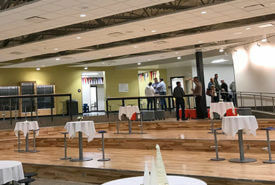 We had an an excellent time celebrating the completion of the Bengtson Center with the rest of the teams who contributed to the success of this project. Thank you for having us, Bengtson Center! 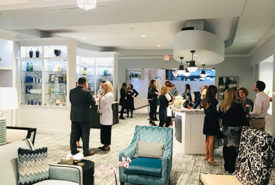 Kathryn Chaplow Interior Design, Van Haren Electric Inc, DJ's Landscape Management, First Companies, Inc., NAI Wisinski of West Michigan, JDH Engineering, Custer, Steelcase, Total Fire Protection & many more! Congratulations, Rose! Rose was our 2018 Calvin College scholarship recipient. 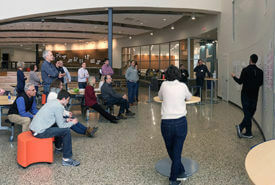 Tues. we had a great time getting to know her and showing her some of the work we do. Rose, we're excited for you as you continue your journey and wish you all the best! Conrad Veldhouse (eldest son of resident AMDG architect Kyle) stepped up to raise money for those experiencing homelessness during this past week of extreme weather. With the direction of Mel Trotter Ministries, boots, socks, mittens and hats were purchased with the money raised, the items going directly to those in need in our community. See news article linked for the full inspiring story! 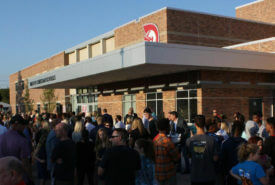 South Christian High School Contractor Open House! It has been such a joy and honor to be a part of the many teams that have made this project a success! 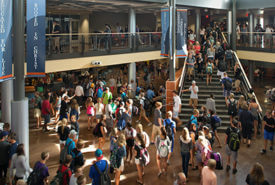 Congratulations to South Christian High School on the first week of classes in their new building. Wishing them a fantastic year to grow and learn in the new space! 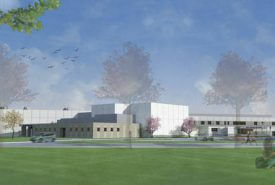 See the WoodTV interview with South Christian's Head of School Jim Peterson here. 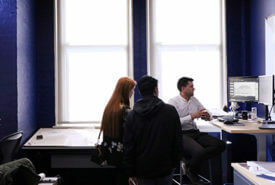 How can technology and client-centered design better equip schools for 21st century learning? 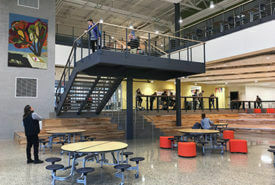 Read about it in this article by Great Lakes by Design magazine featuring AMDG's President, Peter Baldwin. 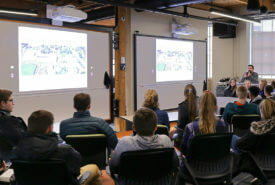 Last week we welcomed students from the South Christian High School World View class into our office to discuss what it means to practice architecture with a Christian worldview. Happy 10 year AMDG anniversary, Adam! Adam is a Project Manager and Associate, and can be best described as conscientious. His desk is meticulously organized, you can always count on his calendar to be updated (even months in advance), and he will never forget to return your pen! 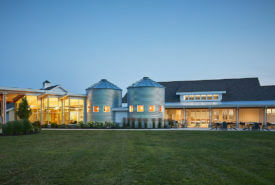 The AMDG Project Benjamin's Hope was featured in the West MI design magazine Great Lakes By Design. 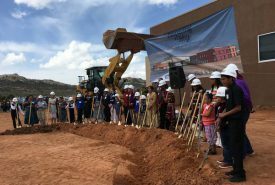 Read this article to learn more about the story and inspiration behind Benjamin's Hope, an intentional community in which people of all abilities are able to live, work, play, and worship. 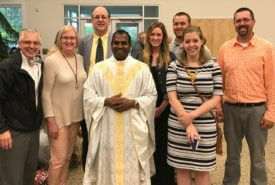 On August 19th 2018 AMDG was proud to celebrate the Rite of Blessing of the Site on our project of a new church for St. John Paul II with Most Reverend David J. Walkowiak, Bishop of Grand Rapids, for presiding over the event. 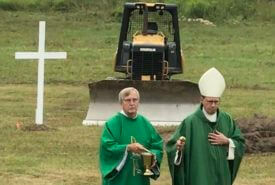 It was incredible to witness the parish’s excitement and joy at taking this next step in growing their community. 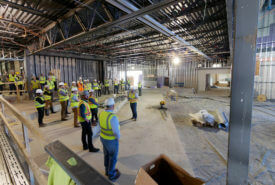 On May 15th AMDG Architects and Dan Vos Construction Company led a tour of our project at the construction site of the new South Christian High School building. 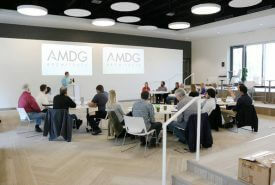 On March 2nd, AMDG Architects held its annual company retreat. We kicked off the day with a round of personal sharing, with each team member being given the floor to share accomplishments from the past year and goals for 2018. Hearing reflections from each other’s professional and personal lives deepens our relationships and helps us to work together as a team and to honor each other’s lives outside of the office. AMDG was honored to serve SS. 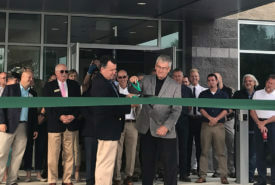 Cyril and Methodius Catholic Church Gun Lake Parish and team with GDK construction on the new fellowship hall for the parish as is celebrates it's 100 year anniversary! 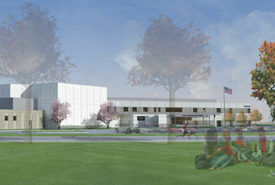 Yesterday we witnessed a deeply meaningful groundbreaking dedication for South Christian High School. 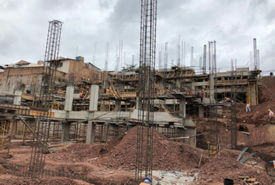 We are grateful to God for the privilege of serving the South community in being a part of the design and construction of the new school. Our prayer is that it will change the trajectory of how South delivers on its mission to equip students to live Christ-centered lives and serve God to their greatest potential! 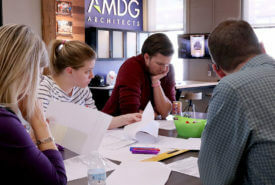 This past Friday AMDG Architects held our annual company retreat to reflect on our personal and professional accomplishments of 2016. 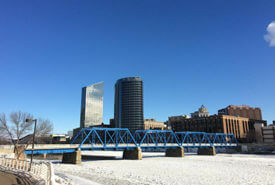 Our thanks goes out to Rockford Construction for letting us use their beautiful conference space. AMDG is honored to partner with Rehoboth Christian School and LAM-Rockford in the planning and construction of a new High School! We celebrate with the Rehoboth Christian School and local community, and are excited to have participated in the groundbreaking for construction of a 21st century learning environment that will strengthen the Rehoboth Christian School’s enduring commitment to vigorously academic, beautifully diverse, and thoroughly Christian education. 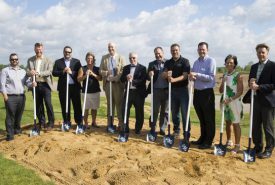 The entire team at AMDG is excited to celebrate The Official Groundbreaking of the new South Christian High School Facility with the SCHS community, Dan Vos Construction Company and all of our other committed project partners on May 18th, 2017!